14 Therefore they called out to the Lord, “O Lord, let us not perish for this man's life, and lay not on us innocent blood, for you, O Lord, have done as it pleased you.” 16 Then the men feared the Lord exceedingly, and they offered a sacrifice to the Lord and made vows. I love the story of Jonah. Most of the time we put our focus on Jonah's journey. Today let’s look at the lives of the pagan sailors. What a journey they were on! We see the hand of God touching them through Jonah's disobedience. Talk about God bringing good from evil. 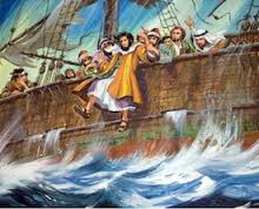 Here He draws them into a desperate sea voyage and almost incidentally reveals to them the impotence of their gods, who have no power whatsoever to stop the deadly storm. In their total helplessness the God of Heaven then introduces Himself through his runaway prophet. And suddenly, the sailors are crying out to God. They are not crying out to their gods any longer – but now are crying to the true God of Israel. And God performs a miracle for them, when Jonah is tossed into the sea, the storm suddenly calmed... and the amazing miracle evokes what sounds like prophesying, as they offer sacrifices and vows in worship to God. "For You, O Lord, have done as you pleased!" The whole crew is converted. So, while Jonah is fish food – there's a revival happening on board. Our God desires all people throughout the world to hear His message. His providence is such that anywhere His servants find themselves becomes a place and a moment of opportunity for Him. The apostle Paul writes to Timothy "Preach the word; be prepared in season and out of season. Even Jonah's gross disobedience didn't stop the Lord from using him as a testimony. We need to be aware of who we are and what we carry for Jesus. His love and faithfulness to us is such that even our discipline can become a vehicle for showing His love to the world. Dear Lord, Help us be the vehicle that shows someone Your love today. In the Name of Jesus, Amen. The lasting legacy of D.L. 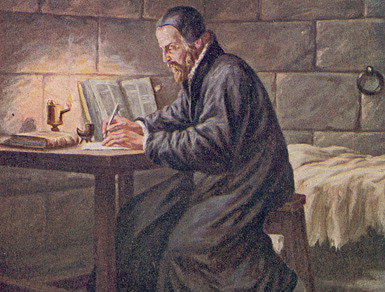 Moody's ministry was connected to two ladies that you'll never read stories about (except maybe, here) -- but whose own, lasting legacy is counted in glory! Do you want to have a lasting legacy? Become an intercessor! 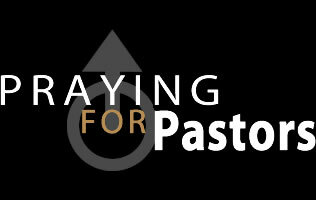 Let remember to spend time interceding for our pastors, evangelists, spiritual leaders, to have the fire of God upon them! Power only comes through prayer – and without any power – how are we going to change the world? Dear Lord, help us to take the time each day to pray for our pastors, evangelist and other spiritual leaders each and every day. In the Name of Jesus, Amen. 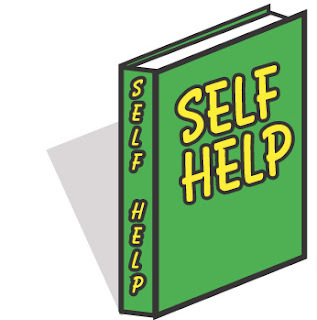 We live in a day and age that everywhere we turn, there's a "self-help" theory. Books, videos and dvds, websites, world-renown speakers, you name it -- all dedicated to helping us "feel good about ourselves". Yet somehow, still many of us struggle with self-consciousness, even as Christians! But here's something to consider. Did Jesus ever say "feel good about yourself"?? No. On the contrary, He said crucify yourself! If we go around hating ourselves and even feeling condemnation over our faults and sins, what we are really doing is focusing on our self! My wife said a wise thing recently: self-consciousness is not God-consciousness! That about sums it up, I think. God doesn't want us focused on ourselves -- He wants us to be focused on Him! It's when we die to our flesh, that the life we're living becomes the life He lives through us! If we crucify our self then there's no self to hate -- there's no self to condemn! We are free to serve the Lord and allow him to do great things through us! Dear Lord, help us to die to flesh today so that You can use us in a mighty way. Help us to be faithful to You. In the Name of Jesus, Amen. The other day I read a story about a young lady named Sally and her experience in a recent seminary class, given by her teacher, Dr. Smith. Dr. Smith was known for his elaborate object lessons. This particular day, Sally walked into the class and knew they were in for a fun day. Sally's friend drew a picture of girl who had stolen her boyfriend. Another guy drew a picture of his little brother. Sally drew a picture of a former friend. The class lined up and began throwing darts. Some of the students were throwing their darts with such force that their targets were ripping apart and everyone was laughing hysterically. Finally, Dr. Smith asked all the students to be seated. He came to the front of the class with a less-than-amused look on his face. As he began removing the target from the wall, there appeared underneath, a picture of Jesus. A hush fell over the room as each student viewed the mangled picture; holes and jagged marks covered Jesus' face, and His eyes were pierced. Dr. Smith said only these words. "In as much as you have done it unto the least of these my brothers, you have done it unto Me." Matthew 25:40. What a powerful story. . 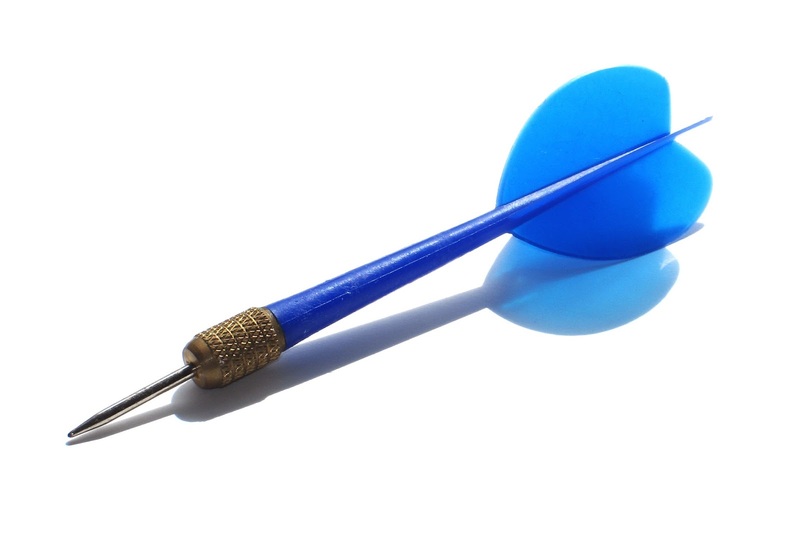 When we "throw darts" at our brothers and sisters, friends and even strangers, we are actually piercing our Lord too. Let's get right with the Lord and others today. It's a good season for reconciliation. Dear Lord, help us to not through darts at those around us. Help us instead see Jesus in each one of them so that we can help build them up. In the Name of Jesus, Amen. One day, while the hen was out in the forest looking for wood, a nosy crow approached her and asked what she was doing. When he heard, the crow began caw, "That’s not fair! You’re doing the hardest part of the work! That rabbit and mouse are taking advantage of you! The chicken continued about her work, but try as she would, she could not stop thinking about what the crow said. These feelings festered and festered, and by the time she got home, she was so upset that she burst out in tears, screaming, "It’s not fair! I do the hardest work of the three of us! That’s it! I’m not going to gather this heavy firewood anymore!" Discontent spreads, as you know, and immediately the rabbit and mouse also began to argue that they had been doing the hardest work and that they were not going to do their jobs anymore either. The three argued until they were tired and finally decided to switch jobs – from now on the rabbit would gather the firewood, the hen would bring the water and the mouse would cook. As the rabbit hopped into the forest for wood, a fox trailed him, caught him, and ate him. The chicken put the pail into the creek, but the current pulled the pail down under and the chicken with it. The mouse, while sitting on the edge of the big pot of soup, lost his balance and fell in. Discontentment not only destroyed their happiness but their very lives. We all have a job to do here. No job is greater than the next -- no person is greater than the next, no matter what those crows might tell you. We are all working for the same King and we can worship Him even while gathering firewood, if that's what He's called us to do! Dear Lord, we pray that we would focus on the job that You gave to each of us. Help us not try and do the things that we weren’t designed to do. In the Name of Jesus, Amen. Do you ever wonder why it is that sometimes we don't get the things we pray for? James hits it on the nail when he says that we ask amiss, that we may consume it upon our pleasures. Think about this. You work for a large company such as, let's say, IBM. You've been with them for quite some time and been faithful and diligent to do what's been required of you. You've gained some trust and seniority. One day, the boss decides to give you access to the company card, should you ever need it, trusting that if you'll use it, you'll be using it to purchase something for the good of the company. We who know Jesus are in God's company -- and we have been entrusted with the company card! When we swipe that card and ask for that thing in the name of Jesus, we will get it --- as long as it will benefit the company! Is that thing for which you've been praying going to benefit the Kingdom? If so, then pray in faith! God will do it! If not, let's ask God to help us know how to pray today! Dear Lord, we thank You for the power You give to each of us through prayer, help us use that power in a way that is pleasing to You. I read this story the other day and love the lesson. A well-known speaker started off his seminar by holding up a $20 bill. In the room of two hundred, he asked, "Who would like this $20 bill?" Hands immediately started going up. 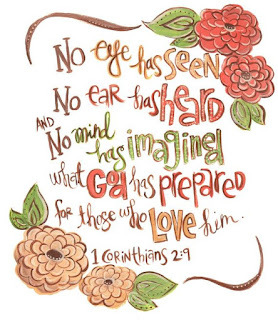 But remember, no matter what has happened, we will never lose value in God's eyes. To Him, dirty or clean, crumpled or finely creased, we are still priceless. The worth of our lives does not come in who we are but by whose we are! Let's give our lives back to the Lord today, our disappointments, our suffering, our feelings of worthlessness. He is the God of healing. 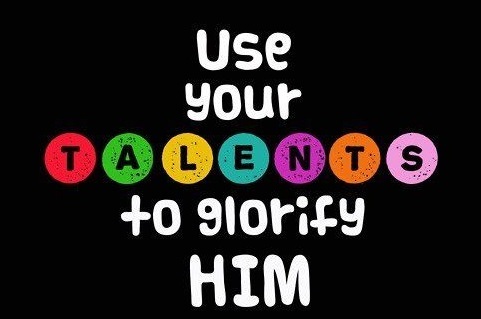 He has made us clean and worthy of our calling in Him! Dear Lord, we thank You that no matter what has happened to us our value to You is always the same. In the Name of Jesus, Amen. A United States Army officer who trained pupils at Fort Sill for over 20 years once described the different qualities of the students during the two decades of his tenure. During the 1950's, he observed the students' attitude as being so lax that the instructors had trouble keeping their students awake during their lectures. This drastically changed in the mid 1960's. The students began taking meticulous notes and absorbing every word of instruction. So, what changed? The lectures weren't any different. Were mid 60s students somehow more diligent? No... but the circumstances had changed. The pupils of the 1950's weren't expecting to be sent to war, but the men in the 1960's were being prepared to go to Vietnam. We are already at war and the battle is raging. We cannot afford to be unprepared, as though we were at peace. 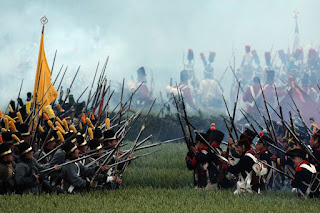 Each of has a post or a position to occupy, or a battlefront to advance upon. So let us stay awake, alert and in constant preparation, feeding and abiding in the Word of God, continuing instant in prayer and growing mighty in it. There's work to be done, and our Commander in Chief is looking for eager volunteers who are well prepared to serve. Honoring Him in the battles ahead will bring great joy through the exploits He will enable us to do. Dear Lord, help us be ready for the battle that is raging all around us. Help us to stay awake so that we can be ready for Your job. In the Name of Jesus, Amen. There's a pretty clear moral to this story, wouldn't you say? If we really want to be free, we must let go of the things we love. The more we hold on to our earthly possessions, the more frustrated we will get and eventually, we will be entrapped. Dear Lord, help us to let go of the things that keep us from the greater things that You have for us. In the Name of Jesus, Amen. While on the road to Damascus, Jesus appeared to Saul, blinded him and directed him to go to Damascus. There, God spoke to Ananias of Saul and told to lay hands on this troubled man. Ananias did as he commanded and Saul was filled with the Holy Spirit, healed of his blindness and immediately baptized. In another instance, while Cornelius was praying, God sent an angel to tell him "Go and find Peter and he shall tell you what you need to do." Cornelius, along with his household and friends, did what he commanded, and God used Peter to bring them all into the Kingdom! God could have easily brought both Saul and Cornelius into the Kingdom without the intervention of any believer – but that was not His plan. He used Ananias, Peter and countless others to finish what He had already started! In the same way, God wants to include us in His plans! He has been speaking to people in our families, neighborhoods, offices and everywhere else we go! 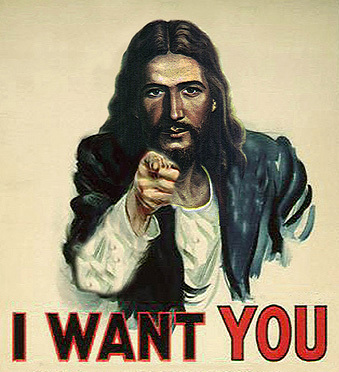 He has been drawing them gently and He wants us to be a part of their salvation! God still speaks to His people, does He not? And we are His sheep and know His voice, do we not? Let's start being used by the Lord for His great purposes -- let's be open to hearing His direction! Dear Lord, help us to answer Your call and be there to help lead those around us into Your kingdom. In the Name of Jesus, Amen. John R. Rice wrote, "I once imagined I was in Heaven, walking along with the Angel Gabriel. I said, "Gabe, what is that big building over there?" "You'll be disappointed," he answered. "I don't think you want to see it." But I insisted, and he proceeded to show me floor after floor of beautiful gifts, all wrapped and ready to be sent. "Gabriel, what are all of these?" He said, I thought rather sadly, "We wrapped all these things, but people never called for them." There are gifts and an abundance of blessings to be received from heaven -- but we need to claim them as our own! We receive not because we've asked not. When we ask the Lord in humility and expectation for His goodness, He will answer! Then we'll be better equipped to do the great things He has in store for us. Dear Lord, help us let You equip us for the great things that You have planned for us today. In the Name of Jesus, Amen. I came across an amusing story about General Stonewall Jackson's famous Valley Campaign. During the war, Jackson's army found itself on one side of a river when it needed to be on the other. 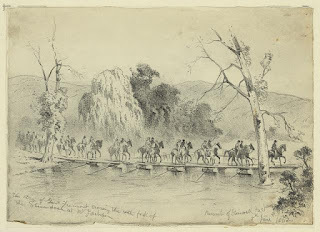 After telling his engineers to plan and build a bridge so the army could cross, he called his wagon master in to tell him it was urgent that the wagon train cross the river as soon as possible. At once, the wagon master started gathering all the logs, rocks and fence rails he could find and quickly put together a bridge. Long before daylight, General Jackson got word that all the wagons and artillery had crossed the river. "Where are the engineers and what are they doing?" asked Jackson of his wagon master. "They are drawing up plans for a bridge, Sir." He replied. Don't spend so much time drawing up plans -- be an example! Get out an take action! Dear Lord, help us to get out there and take action. Give us the wisdom to make the right choices. In the Name of Jesus, Amen. Everywhere you look near Valentine's Day, there's chocolate: chocolate in all the stores, chocolate on tv promising to be the only love you need, chocolate girl scout cookies and boxes of chocolate which reminds me of the famous quote from Forrest Gump: "Life is like a box of chocolates...you never know what you're gonna get." The days that come with caramel in the middle are my favorite. The ones with the strawberry goo are just so so--but the ones with coconut--YUCK! I'd rather go back to bed. 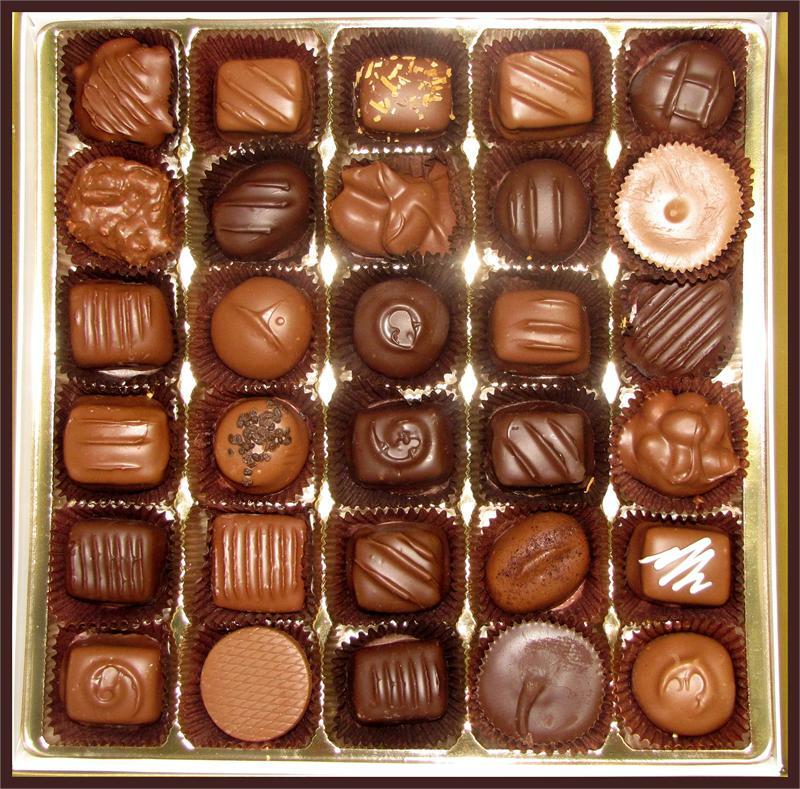 Then there's the days where tragedy or difficult times come out of nowhere, and the chocolate sits in the pantry untouched...there's no sweetness to be had in those moments, it seems. God knows that life as it pertains to circumstances is uncertain for us. That's why He comforts us and reminds us so many times that He is our constant companion, our steadfast friend, our consistently loving God and Savior. 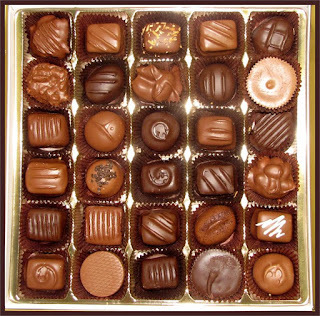 You see, no matter what chocolate we are "in the middle of" right now, He is there--with the certainty of His promise today as well as His hope of heaven in the future. Dear Lord, we thank You that no matter the circumstances we find our self in You are there with us bringing us through it. In the Name of Jesus, Amen. Have you ever used the phrase "I have every reason in the world ....."? I know I have. I got to thinking about it. What I'm really saying when I say that is -- that I have every reason to do whatever it is I'm doing in the world's eyes --and not in my heavenly Fathers! When Samuel was called by God to anoint Israel's next king, he was sure that God's choice would be Jesse's first son Eliab -- but he wasn't exactly what the Lord had in mind. God chose the least likely of Jesse's sons, David, because he was a man after His own heart! 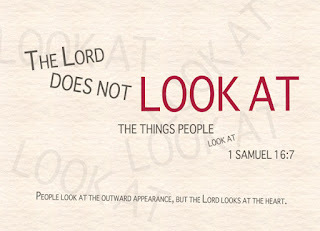 While the world looks carefully on outward appearance, God is carefully examining the heart! When making decisions, we need to be sure to have the heart of God in the matter -- not our own reasoning, researching and weighing of circumstances. Are you facing a big decision today? What may seem like the perfect opportunity to us and the world around us may not necessarily be God's choice! Let's spend some time praying and seeking the Lord! Dear Lord, as we face each decision today help us to seek after You will for the choice we make. In the Name of Jesus, Amen. Dear Lord, help us to open our mouth and share Your great news to those we come into contact with each day. In the Name of Jesus, Amen. In a documentary mini series called "Against All Odds" a remarkable story is told about an Israeli platoon who found themselves in the midst of a minefield along the Syrian border during the Yom Kippur War. When the platoon realized they were in a minefield they pulled out their bayonets and started to dig out mines and to disarm them. Suddenly, a fierce wind began to blow, removing the sand from the minefield. 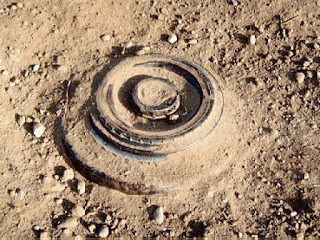 Each and every mine was exposed and the soldiers ventured through the minefield unscathed. If you found yourself in the midst of a minefield, but had someone with you that knew where every mine was and could guide you through, then you'd be sure to stay as close to him as possible! My friend, life is a minefield; and the enemy has planted mines all across your path -- the mines of temptation! You have Someone with you who knows where they are and how to guide you around them. But how closely are you walking with Him? God's word and His Spirit equip us thoroughly for life and godliness. Obedience to His word and abiding in His Spirit we can avoid every deadly trap of the enemy and even if He calls us to martyrdom, we can go joyfully in His power. But in the meantime, let's not ignore the presence and counsel of our Heavenly Guide. It's too easy to become distracted by fears, entertainments, and even real responsibilities. But all these can pull us away from Him....so that we suddenly find our foot on a mine about to explode under us. The discipline of practicing His presence was never more important than it is now in these last of the last days. The Bible warns that "because iniquity abounds, the love of many shall wax cold!" Let us stay awake, fully conscious of our Helper's presence. Led of His Spirit we will dodge every one of our enemy’s mines, and navigate both ourselves and others to safety, bearing fruit all along the way! Dear Lord, help us keep our eyes on You so that we will be able to navigate through the mine filed called life. In the Name of Jesus, Amen. 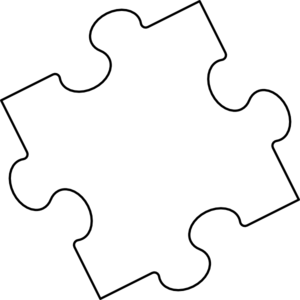 As members of the body of Jesus, we can be compared to pieces in a jigsaw puzzle. Each piece has protrusions and indentations. The protrusions represent our strengths (gifts, talents, abilities), and the indentations represent our weaknesses (faults, limitations, shortcomings, undeveloped areas). The beautiful thing is that the pieces complement one another and produce a beautiful whole. Just as each piece of a puzzle is important, so each member of the body is important and can minister to the other members of the body. And just as when one piece is missing from a puzzle, its absence is very obvious and damages the picture, so also is the whole weakened when we are absent from the body of Jesus. We have the privilege of being a little part of God's big picture! Let's not shy away from being a piece! Go forth and serve the Lord in wonderful ways. Dear Lord, thank You that each of us has an important in the body. Help us each be willing to use our talents and gifts so that Your body can be complete. In the Name of Jesus, Amen. Ever wonder what someone who's never seen the modern world thinks of us approaching a wall, pressing a few buttons and out comes lots of money? Cash machines -- they're everywhere -- and if you've got cash in your account, you can just go and make a withdrawal! 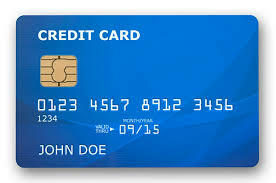 Imagine having a cash card that you could use to withdraw as much as your heart desires anytime you want -- with no limit. We, who believe, have a card like that! We have direct access to the riches of God's grace. We have unlimited access to love, mercy, joy and all the good things of the Lord, and we can access it any time, any place and in any circumstance. The strange thing is that we don't use it nearly as much as we could! We need to tap into God's wonderful bank of unlimited riches today! May the righteous use their spiritual bankcards to withdraw much! Dear Lord, thank You for the unlimited riches riches that we have through You. In the Name of Jesus, Amen. Although this story is fictional, it is meaningful, nonetheless. There once was a girl who hated herself. You see, she had become blind in her early teens from a rare disease. Not only did she hate herself but she hated everyone else too. She was angry at the world, angry at God, angry at everyone. There was one person, however, who had known her for years and stood by her side through all this. It was her childhood friend, who loved her ever since grade school. Now in their 20’s, he wanted to marry her. One day he worked up the nerve to ask her for her hand in marriage. Her reply was that if she could only see the world, she would marry him. Soon after, someone donated a pair of eyes and she went to surgery to have her malfunctioning ones replaced. It was a miracle. After a few weeks, she took off her bandages and she could see once again. And who was standing by her side, as always? Of course, it was the man who loved her. "Now that you can see the world, he said, “Will you marry me?" The girl was shocked to discover that he too was blind, and sadly, still refused his hand in marriage. Undeniably, he was devastated. Sometime later, she received a letter from him, sharing his undying love for her. He signed it, "Please, my love, just take care of my eyes." A sweet story. But few of us remember what life was like when we were yet blind to the truth of our salvation in Jesus -- and who to thank for their labor in love and prayer and boldness in sharing that truth with us, no? Let’s never forget where we came from and those who gave of themselves so willingly for the opening of our eyes. And let’s also strive to be the kind of people who are willing to lay down our life for a friend. 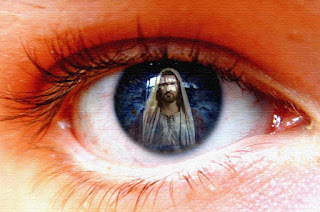 Dear Lord, help us be your eyes to those around us. Help Your love flow through us so that the world may see You when they see us. In the Name of Jesus, Amen. Many times we justify our criticizing, hurtful words and actions by thinking we're right in a matter. But, in fact, the only one who's all right is the Lord! And He has called us to be the encouragers of the world! We have the gift of God residing within us, and we are ambassadors of the His love. We need to constantly remind ourselves to operate under that love in every circumstance - even the most difficult! When we find ourselves getting ready to criticize, let's strive to stop in our tracks and say something encouraging instead --- not only to the world around us but to ourselves! Dear Lord, help us to be positive to those around us. Help us to not give into the negative thoughts that we have. In the Name of Jesus, Amen. Most of us when reading this passage tend to focus in on the fruit that is produced. Okay...But a closer look will reveal that the Lord is really focusing on the tree. The fruit merely demonstrates the quality of the tree. 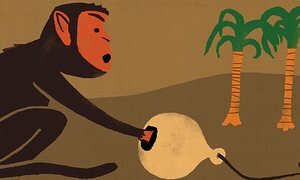 We have all encountered this: there are trees whose fruit is healthy and delicious, and there are trees whose fruit is scarcely edible, or even useless. The fruit doesn't make the tree -- the tree makes the fruit. A tree that produces good fruit is firmly rooted in soil which provides adequate water and nourishment. Likewise, those of us whose lives are rooted in and dedicated to Jesus produce good fruit. So we need to stop trying to produce good works in our own strength. We need to tap into the Source of our life, Jesus, allowing the sap of His Spirit to flow through us – and then watch what GREAT FRUIT He is continually able to produce! Dear Lord, we pray that today that we will allow Your spirit to flow through us so that the fruit that we produce will be excellent in Your sight. In the Name of Jesus, Amen. The Super Bowl is one of the most watched sporting games. Companies will pay 5 million dollars to have their advertisements play during the game on this one day because they know so many people will see it. At the end of the day half the crowd will be happy and the other half are disappointed. Only one team can win and the results are final until the next season. When Jesus walked this earth it was reported that thousands of people came out to hear Him. This was true of His followers once they continued on His ministry too. In Acts we hear of the whole city gathering to hear Paul and Barnabas speak. The great thing about preaching the word of God is that everyone can receive Good News. Jesus’ message does not exclude half the crowd, but gives hope and grace to anyone who will receive it. That’s the type of team I want to be on. That’s the champion I want to follow. Dear Lord, it’s great to have other interests in our lives, but let’s not forget that You are the number one. May we be open to Your message, enthusiastic to hear more, and dedicate our time to worshiping You. In the Name of Jesus, Amen. When a Michigan man entered the hospital for tests one day, he never would have guessed what the doctors would find. A routine chest x-ray revealed that the man’s heart was on the wrong side of his chest! Because of a rare reversed-organ condition, his heart was in the wrong place. This is a strange story indeed, although I think some of us suffer from this condition in a spiritual way. Do you ever find yourself thinking you’re in a good place with the Lord? I haven’t done this sin or that sin in a long time. I’m doing much better in this area of my life than so and so is. I am in leadership in my church or ministry and I think I'm a better Christian than the people I lead. You know what I’m talking about? We get to thinking we’re in a good place -- a safe place -- home free. This safe place is a dangerous place! The reality is that Satan wants us to be content in where we are. He wants us to compare ourselves to others and feel we've arrived! But we haven't! God wants us to continually strive to be more like Him! It is only when we come to a place of humility and dependence upon the Lord that we can have a heart that's truly in the right place. We need to daily examine ourselves to see if our hearts are where they need to be. 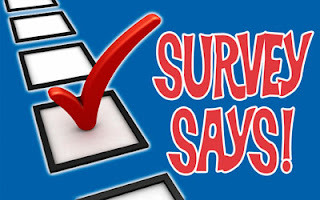 Are we depending on God in every way? Are we constantly acknowledging that all we have and are is by His hand of mercy and grace? 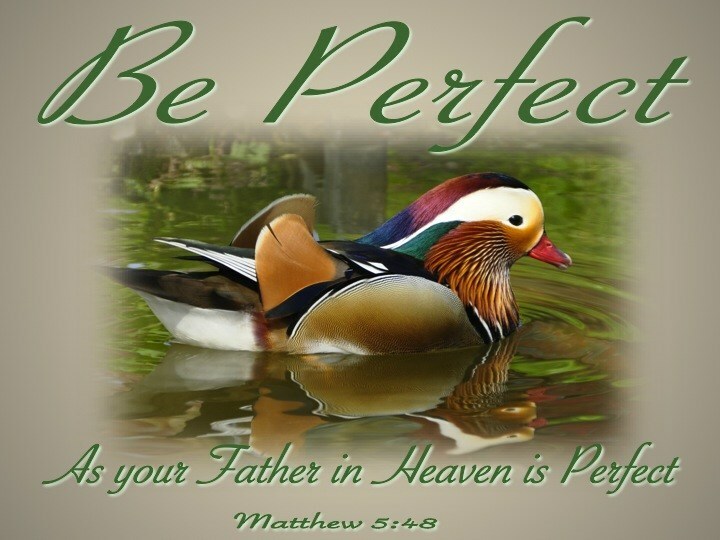 Let's stop comparing ourselves to others and our pasts and strive for God’s perfection today! 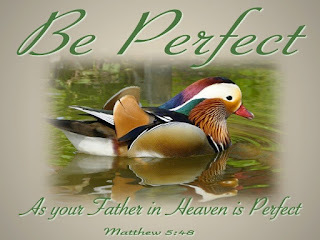 Dear Lord, help us to always strive to meet Your perfection and not always find ourselves comparing our self to others. In the Name of Jesus, Amen. 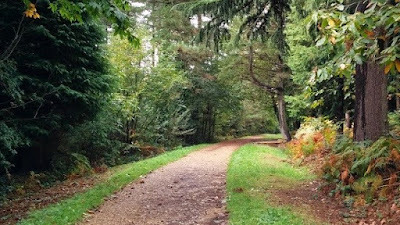 Prayer is a time when we can be completely intimate with the Lord -- we can share all our burdens, heartaches, situations and life struggles... but sometimes we need to get away into the thicket, alone, and be intimate with Him! The Lord loves to be intimate with us! He doesn't want a superficial relationship of recited prayers -- but a deep relationship with Him -- the One who loves us with a love that is everlasting! Dear Lord, help us to keep up our devotions so that we may be closer to You each day. In the Name of Jesus, Amen.